Here is a build that does not deal damage on its own. An aura bot is a character that specializes in only running very strong auras that empower damage dealers. When playing Path of Exile in party it is mandatory to have an aura bot due to the power it provides. The aura bot is aiming to run most important damage providing auras, while also having all the purities of fire, cold and lightning in order to provide maximum resistances to nearby allies. The way that build achieves running so many auras is combining a couple of things. On the passive skill tree we pick all the aura nodes, which while making auras stronger also reduces the mana they reserve. After that we pick Blood Magic and the nodes behind it, which reduces mana reservation by an additional 50%. Last but not least you can have reduced mana reservation on items like Alpha's Howl or reduced mana reservation of socketed gems on Prism Guardian. This is one of the builds that is hard to level and organize. This is why it is recommended to play something like Sunder or Blade Vortex up until level 70 at least. These items will bring you to a comfortable spot when it comes to mana reservation and aura effectiveness while also the Solaris Lorica let’s you run lowlife without instantly dying to chaos damage. This chest piece should be swapped with Shavronne's Wrappings as soon as you have the currency in order to improve you energy shield pool. Considering the build is very unique-item dependent leaves you few slots for improvisation. Resist capping should not be a problem. Besides the fact that the build needs specific items to start, it is not that expensive. The late game things you should look for in order to improve is level 21 aura gems and maybe a level 3-4 Enlighten Support and that is where it might get expensive. Offensively, the main thing you should worry about is staying close to your damage dealer. This is what the build is all about, to provide auras and make others stronger. You also have to manage Vaal Haste aura. Combined with increased duration nodes and support gem it can last long and provide big burst of attack, cast and movement speed but still requires smart use. Additionally depending on damage dealers you can utilize Elemental Equilibrium to further improve their damage. Defensively, make sure you do not charge into monster packs alone and always stay behind your damage dealer carry. Remember that you cannot kill anything by yourself. Combination of Vigilant Strike and it’s threshold jewel The Vigil gives you the ability to provide Fortify effect to you and nearby allies. The additional maximum resistances from your purities and additional physical damage reduction to you and your allies brings a lot of passive defence at all times, just by running the auras. Ascending into necromancer also allows you to use Offerings that affect you at 50% of their effectiveness. Depending on what you need you can get additional speed in order to catch up with you damage dealer by using Flesh Offering. If you prefer more defensive play style you should use Bone Offering for an additional block chance. For Playstyle, always stay near your carries, without them you are helpless. Good uptime on Vaal Haste will increase the clear potential of the party. Keep Fortify as much as possible for the whole party. Shield Charge will help you keep up with the party. Scion – Ascendant is no doubt the best choice for an offensive aura bot build. Guardian might come close but Ascendant provides so much more in the offensive aspect, while Guardian is more of a defensive option. Normal labyrinth should not be done early as it does not provide anything significant besides +40 intelligence and a passive skill point. At this point we can pick Necromancer, which will give us the ability to benefit from Flesh Offering, this is useful while leveling. Auras also provide additional attack and cast speed. This is where you should start getting carried since the damage at this point might be on the low side. Bring a friend or pay someone to carry you through Merciless Labyrinth. Here we should ascend into Path of the Witch, which allows us to start from the Witch starting point and save few passive points. Ascending into Guardian brings a lot of raw power to an aura bot build. The 1% additional physical damage reduction per aura might seem a little but in the long run makes big difference. The 20% maximum life regeneration every 5 seconds combined with Zealot’s Oath provides good sustain. Allowing the whole party to share endurance, frenzy and power charges with each other provides additional layer of empowerment. This is what an endgame passive skill tree looks like. Note: Picking up Blood Magic and the nodes behind it is what makes the build possible. Zealot’s Oath is another important sustain-providing keystone. Beyond that we focus on energy shield, skill duration and all the aura nodes available. The Act II quest Deal with the Bandits presents few character choices for us. Considering the build does not benefit from helping any specific bandit we choose to kill them all. The aura bot does not benefit from any of the bandit rewards enough, this is why we choose the two passive skill points instead. Major: Soul of Solaris gives a lot of damage reduction when fully upgraded. 6% physical damage reduction if only one enemy is nearby improves your chances of surviving one-shot mechanics. Taking no extra damage from critical strikes if you have been critically stricken recently can be very handy in maps with critical mods. Other two upgrades to the pantheon can also be useful in certain situations. Minor: Soul of Shakari gives us poison immunity when upgraded. This makes the build feel better when it comes to sustain. After all it is a low life build and if you get poisoned this will stop your energy shield recharge. Running poison immunity on flasks can be bad in certain situations if you do not have flask charges, but it is also an option if you want to try another minor pantheon. The Aurabot Ascendant specializes in running auras for other party members. Every aurabot build should be running the three elemental purities: Purity of Fire, Purity of Ice and Purity of Lightning. Vaal Discipline will provide a good source of sustain and a great amount of flat energy shield. Wrath, Anger and Hatred are your offensive auras, which can be swapped depending on your damage carry’s build. Vaal Haste provides a good burst of speed when the party needs it. For mobility, use Shield Charge. If you fall behind, use Flesh Offering for additional speed, or Bone Offering if you need survivability. All the purities should be socketed in your Alpha's Howl in order to benefit from the 2 additional levels of socketed gems. Enlighten Support is used to lower the mana reservation costs. Both Wrath and Anger are your strongest offensive auras, they should be socketed in your Prism Guardian for the additional levels. Generosity Support will make these auras not affect you while empowering your allies even more. Vaal Haste, Flesh Offering and Bone Offering should have as much uptime as possible, this is why we recommend linking them with Increased Duration Support. Shield Charge is your mobility skill that will provide the Fortify effect for free when you hit an enemy. Vaal Discipline should be used for the extra sustain when needed, while the regular version of the gem should be active all the time. Level 1 Clarity should be used for the additional benefits you get from your ascendancy class for each active aura. You can alternate between Hatred and Grace if the party needs them. 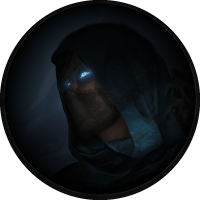 Vigilant Strike can be used in combination with The Vigil in order to provide a long Fortify effect to the whole party. Capping your elemental resistances is essential and it should always be your top priority in any build; it should be the first thing you do when gearing up a character. Obtaining a 6-link, while very powerful and certainly recommended, can potentially be very expensive (requiring an average of 1500 Orbs of Fusing, obviously depending on your luck); as such, this should not really be a goal for you while gearing up, and you should instead settle for a 5-link until you have enough resources. Main build enabling items needed for the build are Solaris Lorica, Alpha's Howl, Eye of Chayula and Prism Guardian. After you’ve acquired these items you are ready to start running the auras. The next thing you should look for is up to you, all recommended items down below will improve your survivability. Alpha's Howl is pretty much irreplaceable in this build. The additional aura levels and reduction to mana reservation are too strong to pass on. Look for any aura enchant. Solaris Lorica is a body armour that lets us play low-life on a budget. Later on it should be replaced with Shavronne's Wrappings, which at this point should be 900+ energy shield for the build. We need Eye of Chayula in order to deal with stuns, otherwise we will be chain stunned to death. Although this is the cheap version of the amulet, it can be upgraded to Presence of Chayula later on when you have the currency. This will provide additional energy shield and the much needed chaos resistance. Lori's Lantern is one of the best rings when it comes to low-life builds, especially this one. A good amount of elemental resistances, movement speed and chaos resistance when on low life is always good considering we are low life all the time. If a hit can deal 1-100 damage to you and it rolls twice – 77 and 35, you will take the lower value of damage – 35. Dream Fragments is another unique ring that deals with freeze immunity so you do not have to run it on a flask. The Pariah is also a great choice. With a blue socket giving you +100 Energy shield and allowing you to socket in Discipline for an additional +2 levels puts this ring in a great spot. For the weapon slot we need nothing but pure defence and speed. Ephemeral Edge, is best in slot for the build. Other good choices are Essentia Sanguis, Heartbreaker and Brightbeak. As for shield we are picking Prism Guardian for the additional mana reservation for the two 50% auras we socket in. Plus additional levels to socketed aura gems is always nice. The shield can be corrupted for additional +2 to levels of socketed gems, bringing it up to +4 to levels of the socketed auras, which is very strong. As for flasks we are using only utility ones. Basalt flask adds additional physical damage reduction, should be rolled with Bleed Immunity. Quicksilver flask is a basic movement flask that can be swapped with any other utility flask if you feel fast enough to catch up with damage dealers. Recommended mod is Immune to Curses during flask effect. Ruby flask with Immunity to Ignite during flask effect. Sapphire flask with Immunity to Freeze if you do not have Dream Fragments. Topaz flask with Immunity to Shock during flask effect. Taste of Hate – Physical hits is what is most likely to kill this build and this flask helps to prevent that. Soul Catcher allows for better Vaal Haste uptime. Rumi's Concoction gives additional Block Chance. Coruscating Elixir can act as a substitute to Solaris Lorica and Shavronne's Wrappings but is not recommended for new players. If you choose to use this flask you might want to consider Victario's Influence for chest piece. Here we have a wide variety of choices when it comes to unique jewels. The rest of the slots can be filled with rare jewels. In terms of mods look for energy shield, resists(if you need them) and keep in mind it is very valuable for the build to corrupt jewels for the “1% Reduced mana reserved” implicit mod. As previously said, leveling a support character can be rough. Although if you invest into some leveling unique items it should not take you that long. Down below you will see a leveling passive tree, gem progression and unique item list that suits well leveling with Sunder. Leveling an aura bot is always nice if you have a friend to run the content with. Depending on the skill that you choose to level with you can pick damage nodes near your main path. For example if you are leveling with a spell, pick spell damage nodes that you can re-spec later on. Same goes for attack skills. Just make sure you do not go too far from your way so you will not have to spend a lot of currency in order to fix your passive tree. Considering we cannot start the build as energy shield-based, we will provide one tree that has life and damage for leveling as Sunder. This passive skill tree combined with the right leveling unique items should be able to carry you until the end of leveling at level 70-ish in Blood Aqueduct. As you begin a new character there are few unique items that can boost your power exponentially. Tabula Rasa allows you to have a 6-Linked skill as early as you get the gems. Wanderlust gives a decent movement speed, which will make your leveling that much more efficient. Goldrim provides a lot of elemental resistances, this will let you worry less about gearing when approaching certain Act encounters. Redbeak and The Screaming Eagle provide great amount of damage which can easily carry you up to Act IV. At level 4, you should add Ancestral Protector for additional single target damage. At level 8, your Molten Strike link should look like this. At level 10, you should add Leap Slam or Flame Dash for additional mobility. At level 12, you should replace your Molten Strike link with the following Sunder gem setup. At level 16, you should add Herald of Purity for additional damage. By level 18, your Sunder link should look like this. At level 24, you should pick up a Hatred gem, which will augment your damage. At this point you can pick all the aura gems you will need for late game in order to level them up, ideally, you want to do this on a weapon swap or any free socket you have. Why choose Ascendant over Guardian ? When it comes to survivability Guardian is a great choice for the party. If you want to improve clear speed and party’s mobility in general there is nothing that beats the Ascendant. Even though such a build can be played as life-based version, it is way more efficient to go low-life because that allows you to run more auras and have greater life pool for late game. The build requires a lot of unique items. Although they are cheap, it does require some game knowledge in order to setup and play such a build. This build is not recommended for beginner players.